Prime Minister Vlad Filat today participated in the inauguration of National Wine Days-2012, due at the exhibition center Moldexpo on 6-7 October, the government’s communication and press relations department has reported. Attending the event were also President Nicolae Timofti, Parliament Speaker Marian Lupu, cabinet’s members, officials and representatives of the diplomatic staff. Agriculture and Food Minister Vasile Bumacov delivered a speech, congratulating all the participants in the event and thanking the wine-makers for their daily work. “The wine-making sector is strategic for Moldova, with a manpower of over 200,000 Moldovans. Wine exports are estimated at over 220 million dollars, equivalent to 25 per cent of the total export of agrofood products”, Bumacov said. Bumacov noted that the wine-making was not hit by the current drought, so that the wines will be among the best of the world. He assured that the government will further back the development of this branch. For his part, Filat said that today, a special homage is paid to those who are making the best wine, and thanked the wine-makers for their work. He said that in a near future, the wine will be no longer described as alcoholic beverage, but agrofood one. “I am sure that all together will manage to overcome the issues, so that we did so far. 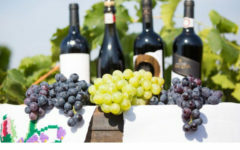 The Moldovan wine is not subjected to any excise, and given that yearly, the vine plantations are rising, it denotes that this sector advances”, Filat said. Filat said that in premiere, two companies from the left bank of Dniestre – “Kvint” and “Buchetul Moldovei” – attended the event. 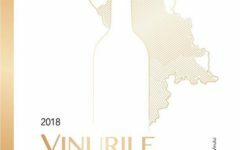 In 2012, the Moldovan government awarded the Grand Prize for special merits in the wine-making sector to the Joint Venture “Vinaria Purcari”. Filat handed the trophy to its director, Victor Bostan. 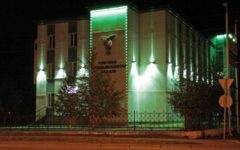 “I was in charge of stating that on the occasion of the 185th anniversary, the “Vinaria Purcari” company will be awarded the Order of Republic”, Filat said. Bostan thanked the government for the prize and the development conditions, and promised that this company will continue enjoying the consumers with quality beverages. Later, Filat and other officials visited the wine-makers’ stands and tasted wine beverages.